Collaborations with seemingly no rhyme or reason seem to be all the rage these days. The latest? 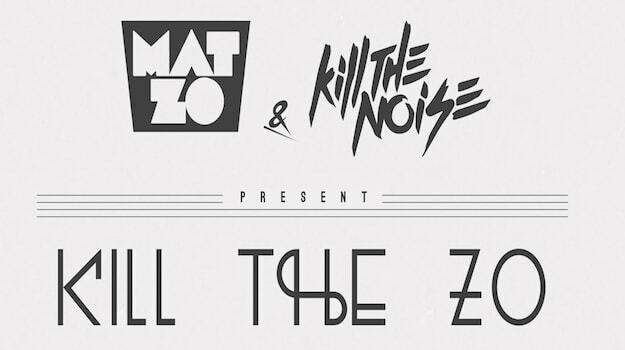 Mat Zo and Kill The Noise. On the surface, these two disparate producers make a style of music that is so different then the other that a collaboration would seem ludicrous to some. Mat Zo of course a producer of house and trance-inspired dreamy soundscapes and Kill The Noise, a descendent of the drum & bass scene who has made waves with his own neon-flavored, grimey, broken-beat bass, have operated largely on opposite ends of the spectrum. Now the two of them together musically would and could provide some seriously interesting, but first up they&apos;re now collaborating on a tour aptly titled: Kill The Zo. The tour, which will have only 11 shows across North America (not even NYC! ), could hopefully be the mark of a new project between the two, but either way, we&apos;re interested to see how this can materialize. Will they be going back to back? Will there be new music from this project? Our eyes our peeled. Head to KillTheZo.com, or check out the list of May tour dates down below.